And what a brilliant gift this would be. 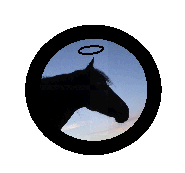 Helping people to turn their horses into little angels! Fast Track to Brilliant Riding is a revolutionary on-line home study course that chops years off learning to be a good rider with a seriously brilliant riding position on a horse. It helps riders find the kind of confidence to do anything they want and reach whatever goals they dream about, it saves thousands of dollars in step by step horse training with a happy horse and a happy person, it increases horse rider’s safety, and they get a kitchen sink too. But seriously… this program really does give horse riders something very special. So how will you know if this gift will hit the mark for your horse lover? Because Fast Track to Brilliant Riding IS a bit different and that is precisely what is so good about it! For a long time now in the horse world, we have been doing things the way they have always been done – and it’s not working that well. 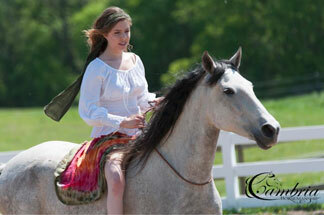 So many riders are working their butts off to be better riders (is your horse lover one of those?) – but I have to tell you that all that hard work of practising, practising and more practising is a waste of time. They don’t get to be a better rider or to be more skilled with their horses, by practising what is already not completely perfect. This revolutionary approach teaches people how to be aware of their own bodies, how to get feedback from their horses and how to listen to their horses in an effective way to make the changes that they need to make to be seriously brilliant riders. There’s poetry in this program, with ordinary people doing extraordinary things in beautiful ways. I was wondering what I could to do to support people who are buying a gift for their horse lover and decided that the best thing I could do, was to offer a money back guarantee. If they don’t love this gift, then I will give you your money back. And right now, because I have just released an interview with a world champion rider who found a whole new level of confidence after a couple of lessons with me (see the blog Eavesdrop on a world champion – the $550 program has $200 off and is only $350 leading into Christmas. That’s a years worth of lessons and a lifetime of live seminars and support services (my working lifetime at least!) for $350. For those who like to know all the nitty gritty details like I do, here is all the information you could want about Fast Track to Brilliant Riding. Important note: If you go off on links, come back to this page for your $200 off the normal price. * The unique and revolutionary RELEASE, RE-LEARN and RE-PROGRAM formula that makes this a Fast Track to whatever it is that they want with their horse. * There is a monthly live seminar (11 per year, “God willing and the creek don’t rise” as my Texan friend says!) with a live lesson and with questions and success stories that personalise the course. You get access to this live seminar for as long as I am producing them and we have a great archive of old seminars too. * We have a lovely supportive community on our recently launched new forum, which is also a way share the journey and experiences with other like minded people on a similar journey. There are extra lessons being gradually added to that forum, plus a section for advice on specific lessons in the course. It is also a classroom for our virtual clinics that I hold from time to time. * This is a well supported program, which includes the opportunity for one on one sessions available with me at my going rates at the time, or with excellent staff at reduced rates. There can even be free one on one sessions available when there is staff who are in training. * When they have finished their 80 lessons, then they send me a photo to confirm that they really have found that beautiful riding seat. And if I think there is any doubt, they will get some personalised homework to get that riding seat happening. * Did you notice that guarantee above? * AND when I can see that that riding seat is happening, then they get a personalised completion certificate. Most of us ordinary riders, are going to take longer to make the kind of breakthrough that world champion rider Kristine Nesbitt made. With Fast Track to Brilliant Riding just about anything that you want is possible when you have the co-operation of your horse and a clear path forwards, like our online course Fast Track provides. No matter where you are, what stage you are at – beginner or world champion – or how tight and tense your body is now – this WILL be a fast track – a significant short cut to dramatically improved riding. 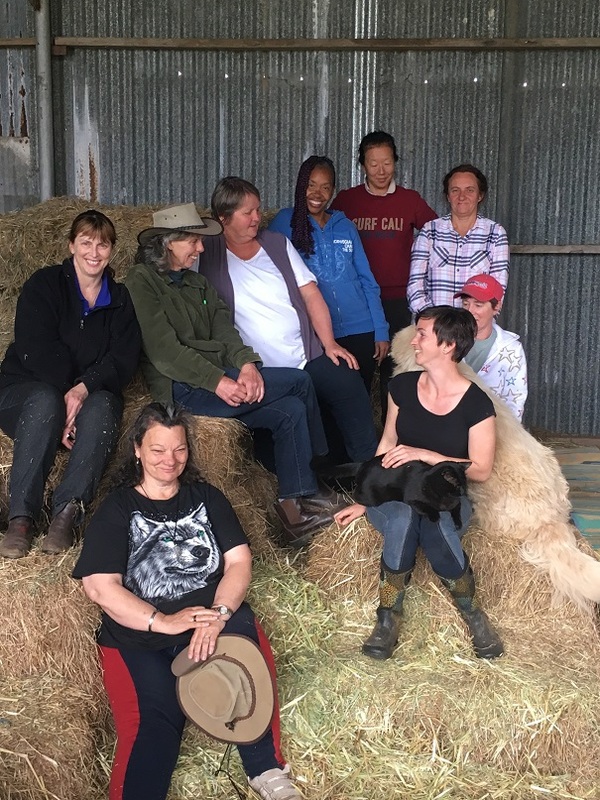 And for some people, whose tightnesses and tensions would have stopped them completely from being the rider that they could be – this holistic approach will be like manna from heaven. That perfect riding seat actually feels like you are magnetised into the horse’s back, kind of like you are sucked into the saddle and couldn’t be shifted with a bomb. When you’ve got it, you are in no doubt about it – the feeling is amazing. Some horses have more stresses and tensions and resistances to release than others too and the lessons take horses too, step by step looking for and releasing old stresses and tensions and resistances. Very difficult and even damaged horses have been beautifully rehabilitated with this approach. 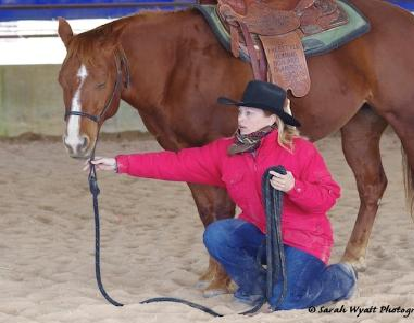 Once someone has learned how to use the formula – and the time it takes for people to really “get” that formula all the way to their bones, is also individual for each person – the RELEASE, RE-LEARN and RE-PROGRAM formula is a serious Fast Track, a serious short cut to really brilliant riding and a serious short cut to really world class horsemanship. It’s very exciting to watch ordinary people developing to a standard that you usually only see in world class riders and world class horse people. And it’s $200 off right now!